General Description: Harrison Hot Springs Resort​ is nestled against Southwestern British Columbia's magnificent mountains and the sandy beaches of Harrison Lake. Harrison Hot Springs Resort features five different hot-spring-fed mineral pools, each kept at a different temperature. Harrison boasts accommodations, 3 restaurants, Harrison Resort Golf Course, a poolside bar, and a full service spa treatment. Location: ​From Vancouver, British Columbia is about 132 Kilometers or about 1 hour and 45 minutes to drive to the hot springs. Accessibility: Harrison Hot Springs Resort​ is accessible. You can drive up to the hot springs. It is an easy walk around the property. The pools are handicap accessible. Hot Springs: ​Harrison Hot Springs has two naturally occurring hot springs sources located 300 meters to the northwest of the Resort along the lakeshore, the “potash” spring has a temperature of 40 degrees C (120 degrees F) and the “Sulphur” spring has a temperature of 65 degrees C (150 degrees F). The water is piped to the resort and then filtered, cooled and chlorinated prior to filling the pools. 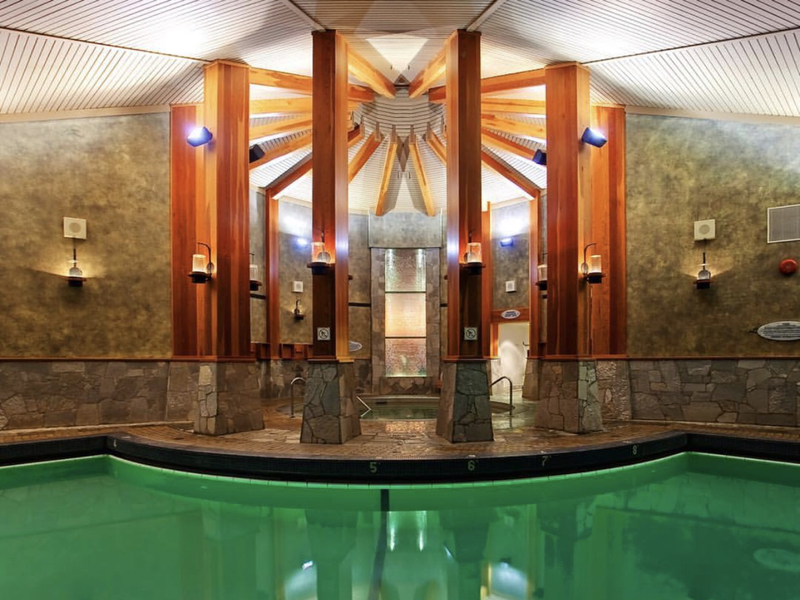 Harrison Hot Springs Resort​ features five different hot-spring-fed mineral pools, each kept at a different temperature. The Indoor Hot Springs Pool is crescent mooned shaped and is enclosed in the Harrison Hot Springs spa building. The temperature is 32 – 35C / 90 – 95F. The Indoor Hot Pool is a small circular pool with a level of heat designed for deep relaxation. A glass waterfall trickles down the wall nearby, and 30-foot ceilings with wooden rafters let the steam rise to a misty haze. The ​temperature 38 – 40C / 100 – 104F. The Outoor Family Hot Springs Pool has waterfalls, large granite rocks, and lush foliage. This family hot springs pool is large (approximately 4,000 square feet) and offers a gradual, sloped entrance for toddlers and wheelchair accessibility with ledge-style seating in various areas. The Outdoor Hot Springs Lap Pool has a temperature of 28C / 83F. The Adult Hot Springs Pool is for adults only and the temperature is 37C / 98F. Clothing is required. Bring your bathing suits. 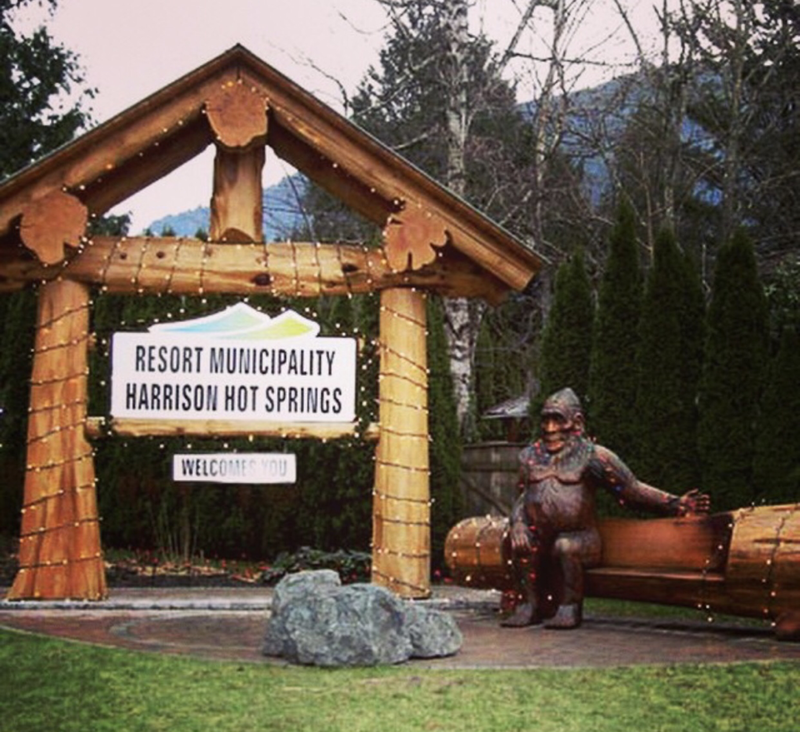 Hot Spring Tips: ​Harrison Hot Springs Resort offers guests with accommodations full access to the hot springs. Only registered resort guests and day guests of Healing Springs Spa are able to access the five hot spring pools located on the Resort property. Harrison issues wristbands to all registered guests. ​Dogs are welcome at the resort. Harrison Hot Springs Resort is pet friendly they offer a number of rooms on limited guest room floors. Youtube Video on Harrison Hot Springs is below.